We are back in Angola after spending the holidays in the US with our family. It was a pleasant month that minimizes somewhat the most challenging part of this work, being far away from those who mean so much to us. We have a full schedule the next few months but we’re looking to return to the US in May of this year to visit our wonderful sending/support team. We look forward to scheduling time with you and sharing about our respective journeys! As the time draws near, we would love to fill our schedule with visits through the northern summer months. Your support of this ministry is unseen by those affected and causes much celebration in the heavens as light breaks in to the darkness through our joint efforts. We returned to Cavango with a beautiful fourth year medical student from Ohio, Sara Boldt, who will be with us through February, and with two seasoned missionary physicians from SIM, Dave Burgess and Rob Congdon, who stayed with us for a week and offered much encouragement and counsel re our work here. They have a combined 35+ years of cross-cultural medical work, mostly in Sub-Saharan Africa, and it was a delight to draw from their vast experience, hear their many stories around evening fires, go on runs together, see patients together, laugh around some fun evening card games, and share with them our vision for the work here. 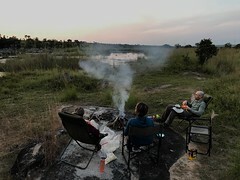 There is little substitute for experience and their observations were weighty and our friendship with them ongoing will be edifying in the coming years as we explore how we can better serve these beautiful rural folks. The rains are heavy and limiting our patient volume, but this gave us all some time to converse and explore ideas. Malaria will dominate our work in coming months and drive up the workload, so the reprieve and “calm before the storm” is welcome while it lasts. Upon our return to Angola, before returning to Cavango, we joined with our fellow SIM missionaries for a three-day retreat, exploring ways we could better serve and encourage each other as a team/body in our respective ministries. 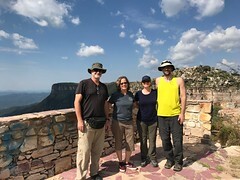 We are serving in Angola with an incredibly mature team and it was nice to get away and connect with them and receive from everyone’s communicated joy’s and struggles. 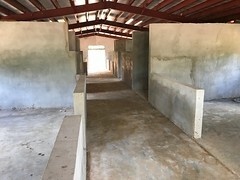 The works in Angola are many and expanding, ranging from translation work, to training leaders, to medical work, to discipling, to youth ministry, to agricultural work, to pastoral work and church planting, to teaching… Multiple countries and languages were represented and the differing perspectives rich. 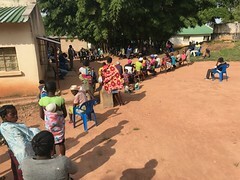 We left encouraged and sensing even more that we are a part of a beautiful body of various members with a great assortment of gifts, skills and experiences from which to draw as we all endeavor to share Jesus’ love with the Angola in any way possible people. Jesus’ incredibly diverse body is rich and to rub shoulders with such people is truly a gift in this often strange, unfamiliar, and challenging, cross-cultural work. Before leaving for the US, I met with the governor of our province to share about our work and explore ways we can work together to serve the people of this province. She was unfamiliar with us, our work and our perspective so it was a delight to share with her our vision and seek common ground. She plans on visiting our work and we hope to develop further relationship with her and other authorities to further serve the same people. Cross-cultural discussions. There is much discussion these days in the US about health care costs and access for all. 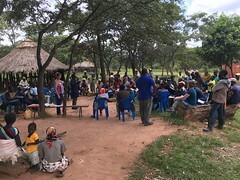 On our last trip to Mavinga, there was an animated discussion, among about ten community leaders, about health care access in Angola for these very poor people. The discussion was broad and far-reaching and demonstrated that concerns regarding cost and availability of service are similar everywhere. The perspectives shared were thoughtful and considerate of costs and availability for those with less resources, just like the conversations and concerns in more “developed” cultures. 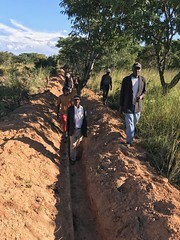 There is a significant movement in the country’s leaders to crack down on corruption and we hope to see it result in federal funds finding their way to infrastructure that benefits the common folks instead of lining the pockets of those in authority. The economy continues to struggle after the many years of war, corruption and lost infrastructure, but there is much hope for change. We are working in an interesting, post-war window of time in Angola and we are hoping and praying that our presence and leadership can be a positive influence that will benefit many. A Kingdom, other-focused, servant perspective is historically lacking in this culture and is evident in so many ways where self-serving control and power has been normative for so long. We are trusting our Father to lead us and we covet your prayer and encouragement in coming months as we meet with many leaders and seek to impact world views and passions and see Kingdom light shine in the darkness through our words and service. We had our first oxygen patient in Cavango. 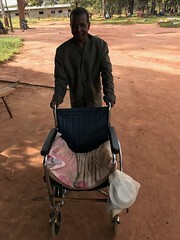 An oxygen concentrator I had ordered from the US arrived with the construction container in September and 45-year-old Frederico presented with severe TB and an oxygen level of 65% (normal > 93%). We hooked up the concentrator to a 110/220 converter, which was hooked up to a small generator outside his window and it is working well. In the last two days I’ve sent to CEML in Lubango (ten hours by car and two hours by plane) four sick patients via MAF, each needing more than I could offer them at Cavango. Two needed urgent abdominal surgery, one has lost almost all use of his legs and arms over several months and needs an MRI in Lubango (there are only a few of these machines in the entire country), and one likely needs surgery on his fractured femur. A fifth showed up today, a 46-year-old man who has lost 30kg over several months because of stomach obstruction and he will go to CEML via MAF on Monday to receive an endoscopy to identify the cause. Our Angola MAF pilots, Brent and Marijn, are such a joy to partner with in the care of these people. 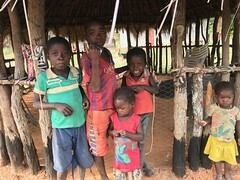 They do everything they possibly can to accommodate as many as possible and so many people benefit from their dedicated presence in Angola. 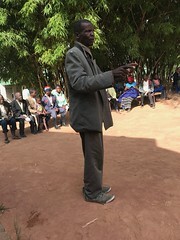 The MAF organization (click MAF above) is full of kindred spirits so dedicated to those living such challenging lives in rural areas (where they were born, quite apart from any choice they made). MAF’s transport of our surgical patients saves so many lives each year. Because we do no surgery in Cavango (no electricity, OR, instruments, sterilization, etc), MAF is a life line for patients presenting with surgical problems. Our crazy-skilled surgical and internal medicine colleagues at CEML (click on CEML above), who have a special, Jesus-motivated place in their hearts for the rural folks, are always willing to receive our challenging cases. I am a small part of a beautiful team and one which reflects Jesus in so many ways on so many levels. One could throw a dart at a map of Angola and it would land on an area of great need. We need more doctors, nurses, teachers, handy men, mechanics, technology people, accountants, public health teachers, and others with a heart to serve… skilled and unskilled, extroverts and introverts, singles and marrieds, health care and non-health care… Prerequisites are sacrificial lovers of God and lovers of people. Would you consider seeking your Father to see if you might become a part of our team?